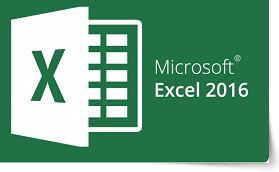 The PD Training Microsoft Excel 2016 Introduction Training Course is designed for students who want to gain the necessary skills to create, edit, format, and print basic Microsoft Excel worksheets. "I thought Steve was a great trainer - very enthusiastic and engaging. Made the day seem like fun, and we learnt quite a few excel tricks. Thanks for an informative and fun day." "Course and trainer was great. I have learnt new functions which would be useful to my job." "Steven was great. I wasn't expecting to learn as much as I did. Steven explained it very well, which made it easy." "Very well presented, Trainer showed great enthusiasm in the way she presented the course." This course is designed to give users a good introduction to the basic concepts of Excel. It explores the structure of the Excel workbook and demonstrates basic techniques required for working with spreadsheets.